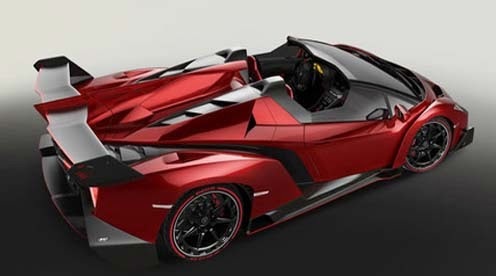 Lamborghini unveiled a special car, Veneno Roadster which became the most expensive car in the world. Super car with aggressive models and limited edition status is priced at 3.9 million pounds sterling. 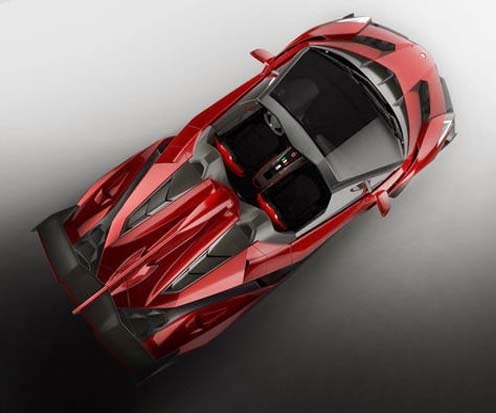 Veneno Roadster was designed with an open roof, the panels can detachable. These panels are made of carbon fiber, just like the body. For form is not much different from Lamborghini Veneno released at the Geneva Motor Show, in March 2013 it looks like the shape of fighter aircraft. 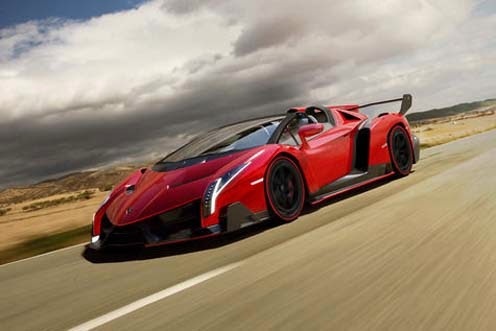 Lamborghini Veneno Roadster carrying machine V12 Capacity of 6500 cc who has performance 750 horse power. Through the machine, Veneno Roadster can accelerate from 0-100 km / h in just 2.9 seconds and a top speed reaches 355 km / h.
Lamborghini claims every detail of the body Veneno Roadster to increase down force and minimize the drag coefficient for optimize handling car on bitumen provides. Sub-frame front and rear will also made ​​of aluminum in order to be lighter weight and equipped with a rollover bar.